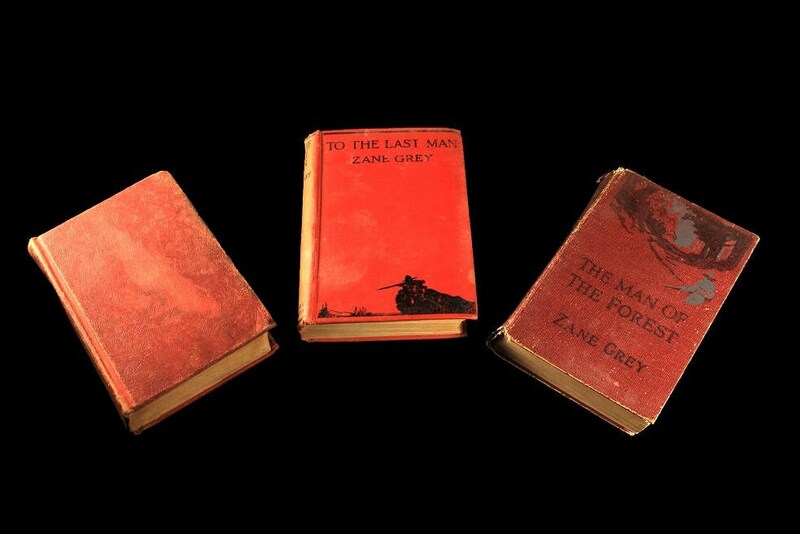 A set of 3 hardcover books by Zane Grey. 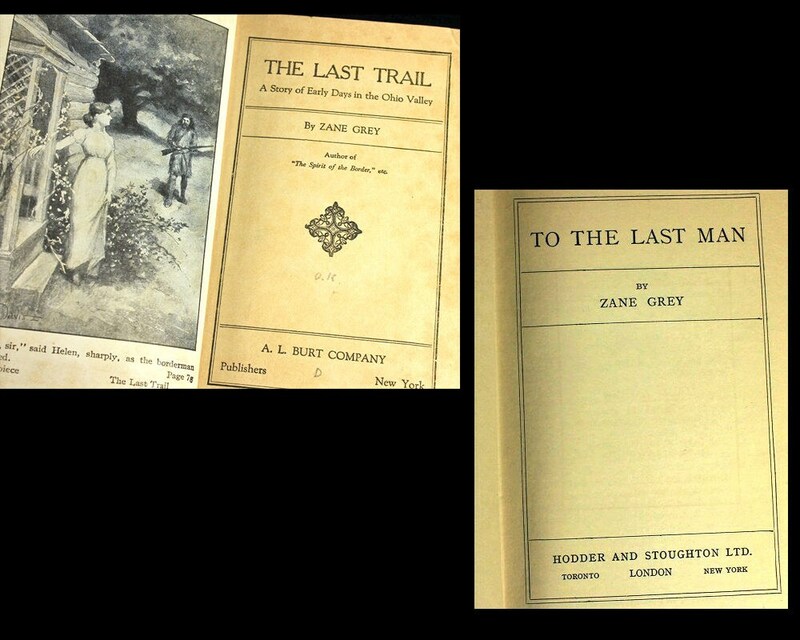 These are western novels and include The Man of the Forest, To The Last Man, and The Last Trail. A wonderful set of antique books. A great set for the collector. Published by Hodder and Stoughton Ltd.
All of these books are in fair condition. Their pages are yellowed with age. 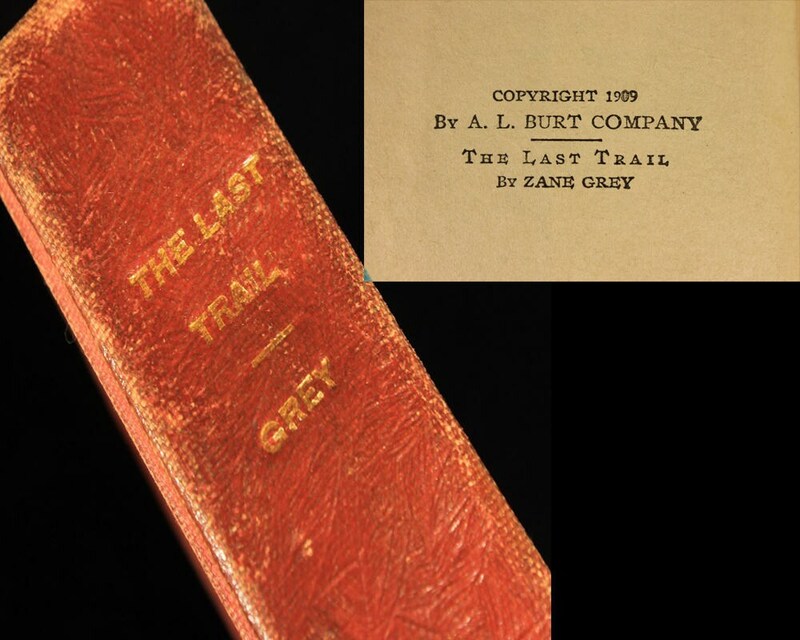 The Last Trail was a library book and has the card holder and check out list. 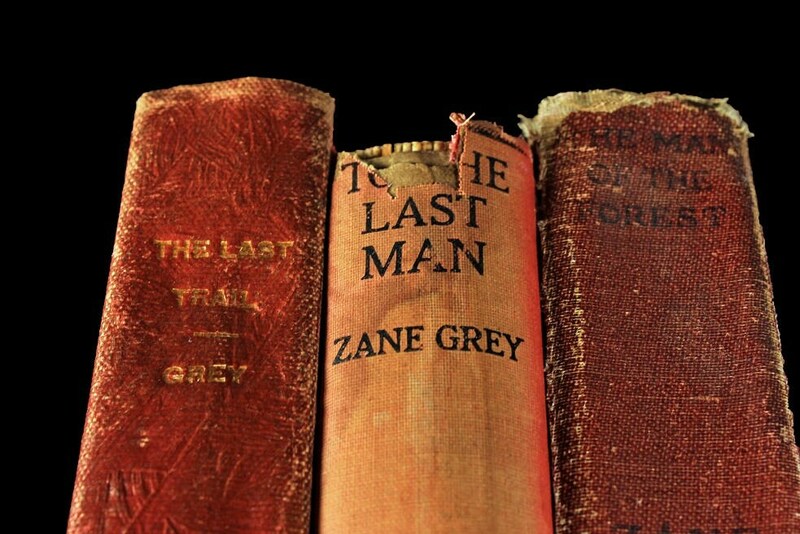 The other 2 books have writing on the first pages. 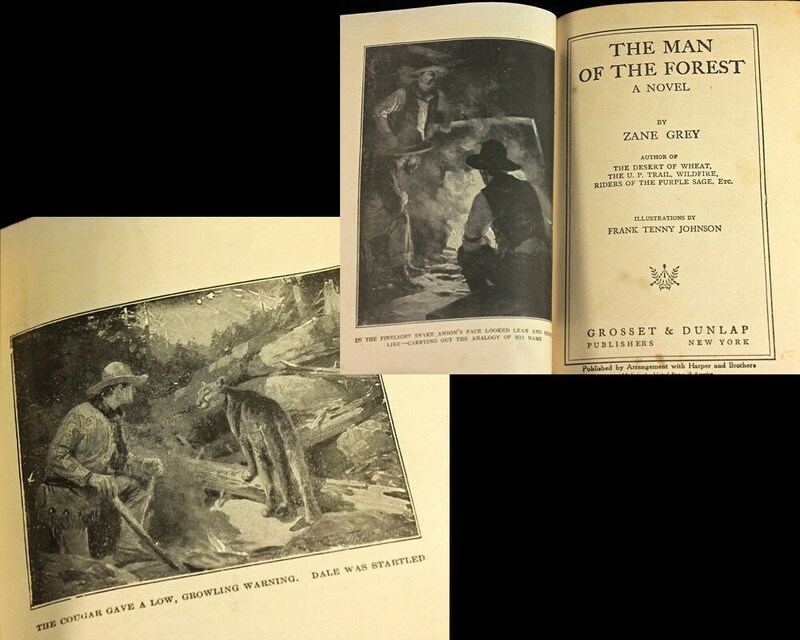 The Man of the Forest spine is loose but the other two books are sound.